Sarah Ballantyne, Ph.D. (a.k.a. The Paleo Mom) is the creator of the award-winning blog www.ThePaleoMom.com, cohost of the top-rated and syndicated The Paleo View podcast, and New York Times Bestselling author of four books: the most comprehensive Paleo guidebook to date, Paleo Principles; the definitive Autoimmune Protocol guidebook, The Paleo Approach; and two AIP cookbooks, The Paleo Approach Cookbook and The Healing Kitchen. Dr. Sarah has always had many interests and talents, which is reflected in the diversity of this blog. Here, you will find explanations of the science behind the Paleo diet and lifestyle, along with a strong focus on modifications for autoimmune disease sufferers, articles related to the practical implementation of a Paleo diet and lifestyle, detailed discussions relevant for Paleo families and kids’ health, and recipes that span the gamut from kid staples, to comfort foods, to quick & easy meals, to gourmet dishes, to treats for special occasions, to snacks and nut-free baking, to recipes compliant with the autoimmune protocol for those who suffer from autoimmune diseases (like Dr. Sarah). Dr. Sarah started her academic career in physics, earning an Honors Bachelor of Science with Distinction from the University of Victoria, Canada in 1999. Her honors thesis work was in radiation therapy for prostate cancer, which prompted her to look for medical research applications in graduate school . Dr. Sarah earned her doctorate degree in medical biophysics at The University of Western Ontario in 2003, at the age of 26. Her doctoral thesis was titled “Progressive Liver Injury during the Systemic Inflammatory Response Syndrome: Heme Oxygenase as a Therapeutic Target”. Her doctoral research spanned the gamut of inflammation, innate immunity, endogenous anti-inflammatory and anti-oxidant enzymes, gene therapy techniques, microcirculation and vascular biology, liver health, and critical care medicine. Dr. Sarah spent the next four years doing medical research as a postdoctoral fellow first at in the Cardiology Department at St. Michael’s Hospital in Toronto, Canada and then in the Department of Cell Biology at The University Of Arizona. In Toronto, Dr. Sarah continued her research in the fields of innate immunity, inflammation, vascular biology, critical care medicine, and gene therapy, with a new focus on Acute Respiratory Distress Syndrome and the role of angiogenic growth factors in controlling inflammation and the innate immune system. In Tucson, Dr. Sarah switched gears and studied epithelial cell biology with particular focus on trafficking of proteins required for tight junction assembly, maintenance of epithelial cell polarity, and characterization of a new tumor suppressor called endotubin (which suppressed epithelial to mesenchymal transformations through maintenance of tight junction integrity). Sarah’s focus included cell trafficking (how cells shuttle proteins from one part to another in a targeted way) and cancer biology. Throughout Dr. Sarah’s academic career, Dr. Sarah earned a variety of awards, including: awards for research excellence including from the American Physiological Society (3 years in a row) and from the Canadian Institutes of Health Research / BioContact Quebec (1st place); many fellowships, including from the National Science and Engineering Research Council of Canada (NSERC), the Canadian Heart and Stroke Foundation (HSF), Pfizer Canada (through HSF partnership), and the Canadian Institutes of Health Research (CIHR) Strategic Training Initiative in Cardiovascular Health Research (TACTICS); and, a research grant through The University of Arizona Cancer Center Gastrointestinal Specialized Program of Research Excellence (GI-SPORE, a National Institutes of Health grant program). Despite Dr. Sarah’s relatively short academic career, she filed one patent (in both the USA and Canada) and published 14 papers in peer-reviewed scientific journals (including 7 first author papers; and 12 of which can be seen here), several of which continue to be highly-cited today, and 25 abstracts presented at international conferences. Even though Dr. Sarah was enjoying a successful and vibrant burgeoning academic career, she opted to become a stay-at-home mom upon the birth of her first daughter. Dr. Sarah’s decision to give the world of medical research a break when her first daughter was born was inspired both by the profound influence of her own mother during her upbringing and by a recognition that her health was not going to accommodate any attempts at finding balance between a high-powered academic career and her desire to be a fully-engaged parent. At the time her first daughter was born, Dr. Sarah was morbidly obese and suffered from over a dozen immune- and autoimmune-related diseases. After her second daughter was born, Dr. Sarah discovered the Paleo lifestyle. It had an amazing effect on her health, including contributing to her 120-pound weight loss! Over time, she mitigated and reversed long laundry list of physical complaints, including: Hashimoto’s thyroiditis, fibromyalgia, Irritable Bowel Syndrome, acid reflux, migraines, anxiety, asthma, allergies, psoriasis, lichen planus. 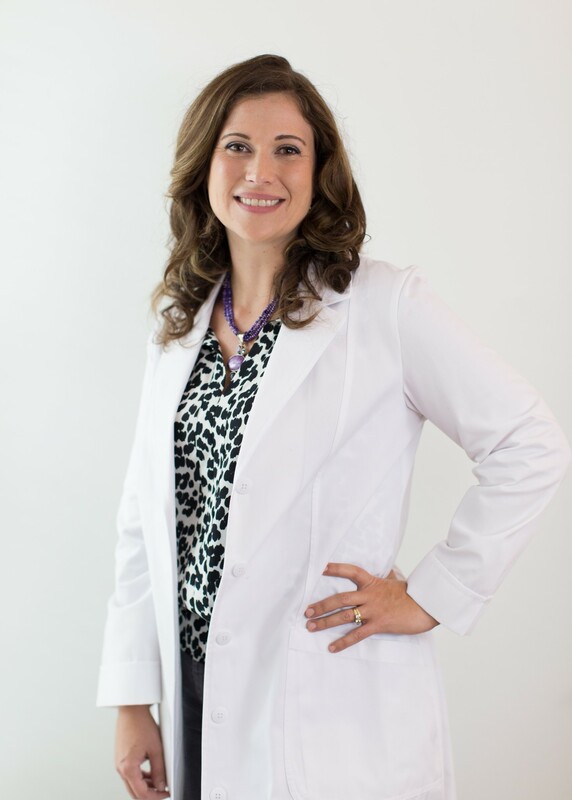 In fact, Dr. Sarah was able to discontinue six prescription medications, some of which she has been taking for 12 years, within two weeks of changing her diet! The dramatic improvements in Dr. Sarah’s conditions convinced her never to revert to her previous eating habits. She quickly became a passionate and enthusiastic advocate for the Paleo lifestyle, which led to the creation of this blog. Dr. Sarah is passionate about scientific literacy and about distilling scientific concepts into straightforward and accessible explanations. As a scientist both by training and by nature, Dr. Sarah is deeply interested in understanding how the foods we eat interact with our gut barriers, immune systems, and hormones to influence health. Dr. Sarah’s innate curiosity goes further than just understanding diet and she is also deeply interested in lifestyle factors like sleep, stress and activity. Dr. Sarah believes that the true rationale for this way of eating and living stems, not from evolutionary biology (although that is a great place to start for forming hypotheses), but the thousands of scientific articles that each evaluate one small piece to the picture of how diet and lifestyle contribute to health and longevity. Dr. Sarah is more than just a scientist. She is also a devoted mom and wife. It was important to Dr. Sarah to improve the health of her family in addition to addressed her own health conditions. Dr. Sarah successfully transitioned her originally skeptic husband and two spirited young daughters to a Paleo diet and lifestyle. It was a slow road (full of challenges, victories and baby steps), but the difference in her family’s health was also profound. Dr. Sarah blogs about the challenges of raising a Paleo family and living in a family where the members of different dietary requirements. In fact, it was this part of Dr. Sarah’s journey and her identity first and foremost as a mom that inspired the name of this blog. Dr. Sarah has also always loved food and loved cooking. She loves being creative in the kitchen and finding ways to reinvent old favorites. She cooks mostly for her family, which is why you will see such a diversity of recipes on her blog. She believes that even healthy food should taste amazing and that there can be room in life for celebrations with food and occasional treats (and that what occasional means is individual). Dr. Sarah also loves to draw, and yes, both the stick figure illustrations and the more technical illustrations (in this blog and Sarah’s books) are her own. Dr. Sarah also performs improv comedy at a variety of local theaters, a creative challenge that reflects in her engaging public speaking style. 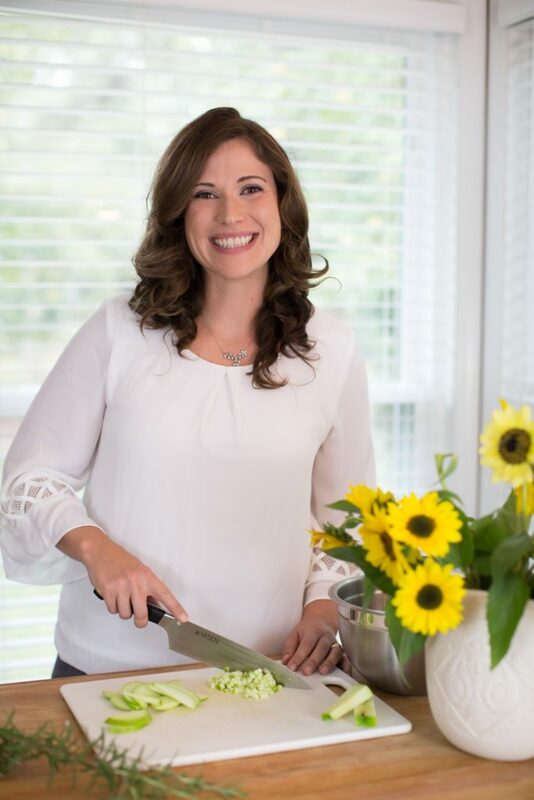 Dr. Sarah’s personal experiences with autoimmune disease is the reason for the large amount of autoimmune-related content on her blog and the reason why her first two books are focused on how to modify a Paleo diet to reverse autoimmune disease. However, this is not an autoimmune only blog. Only a subset of both the scientific content and the recipes are focused on autoimmune disease. 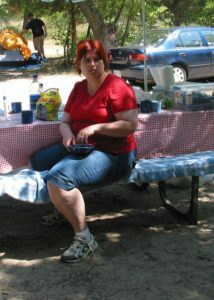 Instead, ThePaleoMom.com is a family-centered blog, a food blog, a “how to” blog, and a science blog. Dr.Sarah approaches the Paleo diet from a place of realism and a focus on long-term sustainability, that understands the individual nature of each of our bodies and that different diet choices work better for different people. It is a blog that respects your choices, and shares in both struggles and successes. It is a blog designed to explain the why’s behind a Paleo lifestyle to inform your choices and give you the tools you need to be successful. You can also find Dr. Sarah on Facebook, Twitter, Instagram, Pinterest and YouTube. Read more about Dr. Sarah’s Story and Transformation here.